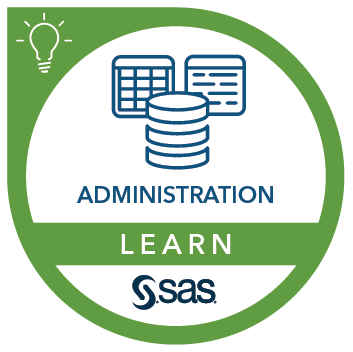 This course introduces SAS administrators to SAS Viya 3.4. The course provides an overview of the SAS Viya architecture and shows how to perform essential SAS administration tasks using SAS Environment Manager and the command line interface. Integrate SAS Viya with SAS 9.4. Start and stop SAS Viya servers and services. Manage users and groups in the SAS Viya environment. Integrate with an identity management server such as LDAP or Active Directory. Manage credential domains in SAS Viya. Manage data and content that are used in the SAS Viya environment. Maintain security on SAS Viya content and functionality. Back up your SAS Viya environment. Promote content from SAS 9.4 and SAS Viya 3.x to SAS Viya 3.4. Before taking this course, you should have a working knowledge of Linux operating system commands, such as locating and listing files in a directory, setting permissions on files and directories, editing files, and using sudo. It would be helpful to understand authentication methods such as LDAP or Active Directory. SAS Cloud Analytics (CAS) architecture. Cloud Analytics Services architecture overview. Exploring microservices and infrastructure servers. Operating SAS Viya servers and services. Exploring CAS memory and data. SAS Viya server logging in SAS Environment Manager. SAS Viya servers and SAS Configuration Server logging. Microservice and web application logging.